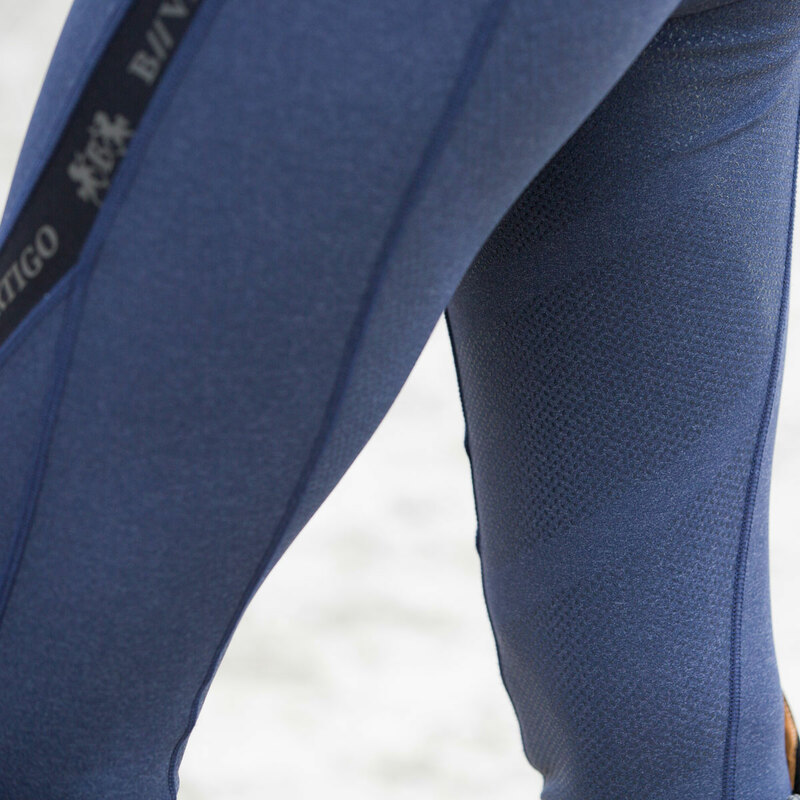 The B Vertigo Jenny Full Seat Tight's are exceptionally comfortable and will be perfect for schooling at home during warmer months. Complete with silicone grip to keep you secure and tight in the tack, they have a 4- way stretch to them that will be able to move with you in and out of the saddle. The sporty look also comes complete with a bold B-Vertigo branded stripe up the leg. B Vertigo Jenny Full Seat Tight is rated 5.0 out of 5 by 4. Rated 5 out of 5 by mary311 from Wonderful Lightweight Tight Love these full seat tights. I got a medium as I always do. Could have worn a small but like the fit of a medium. The silicone seat is quite grippy-not overly so. I liked these tights so well, that I bought 2 pairs. Would love more color options. Great price and fit for hot weather. They are well made and should hold up for the long run. Rated 5 out of 5 by wygirl from Love the feel of the fabric! 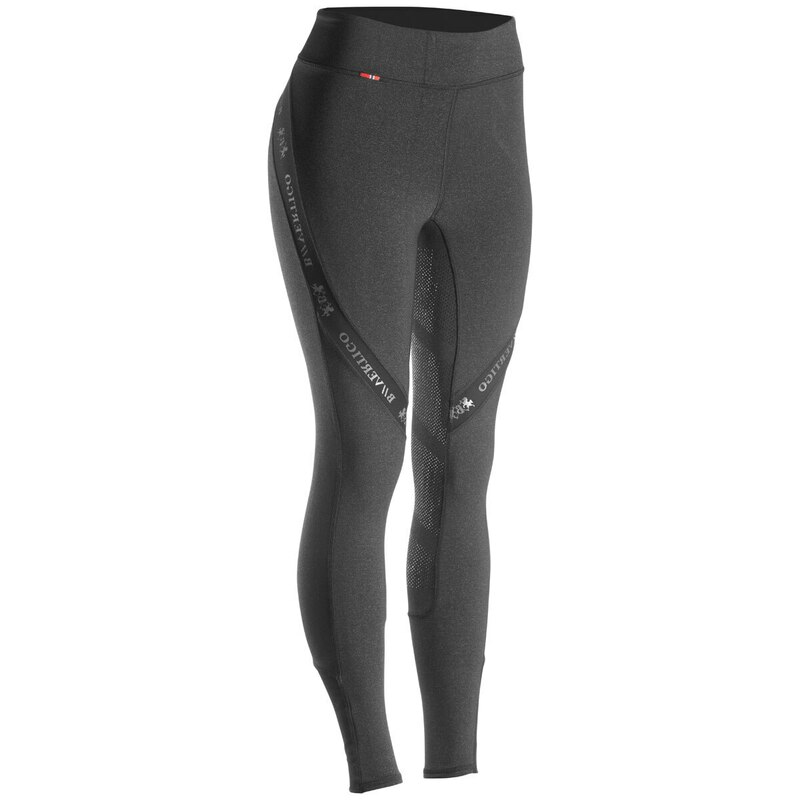 I just received my B Vertigo Jenny Full Seat Tights yesterday. I haven't had a chance to ride in them yet, but I already know I am going to love them! First, the fabric is so nice! It feels like the material they use in higher quality yoga pants. Second, the wide waistband is a total must for me. To top it off, their unique design with the stripe is so cool! I have CrossFit muscular thighs, and I just don't mind drawing attention to them at all! I was a little hesitant at the price, but now I can see the quality is evident and worth every penny. Only thing...wish there were a pocket for my phone. 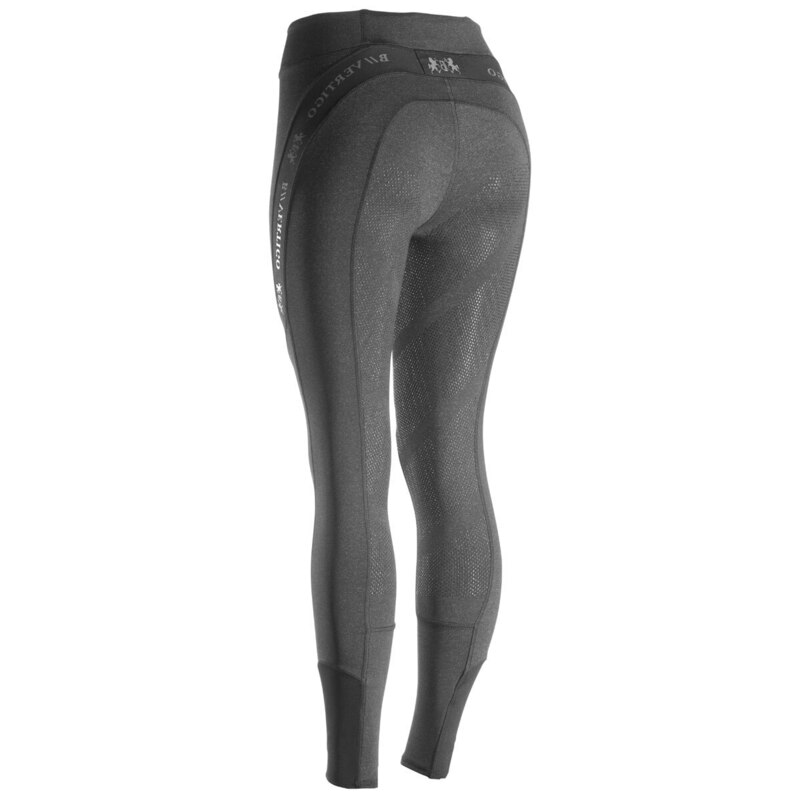 Rated 5 out of 5 by quinceysmom from Nice riding tight I really like these tights - very nice quality and not too thin. 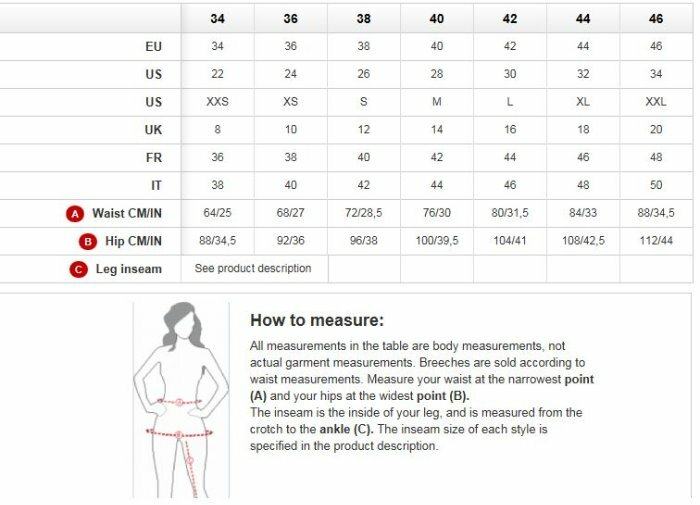 They are stretchy and fit well - I am a size 12 and the 30/32 fit just fine and are fairly slimming. I like that the sticky dots are seem better than some other tights I have tried in the past. I want them to come in more colors! Rated 5 out of 5 by blancos mom from SO comfortable! So good I bought a second pair. Stretchy, nice weight and finished beautifully. I love the way these feel. The waist could be slightly smaller, but overall 5 stars! !